2012 scheduled changes: 11/4/12 closed for NYC Marathon. EBT/Food Stamps, Debit/Credit, and WIC & Senior FMNP Coupons accepted. 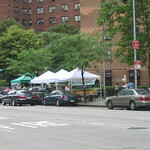 This seasonal Sunday market on the Upper East Side offers neighborhood residents a convenient location to shop for a selection of vegetables, fruits, baked goods, eggs and locally caught seafood. 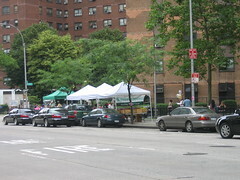 Community partners The Upper Green Side and Stanley Isaacs Houses help promote the benefits of eating fresh, locally grown food and provide additional environmental information and activities at the market.